These job search secrets for older workers will help you to minimize age as a factor in your job search. Any time I think about the concept of "older workers", my first thought is, just exactly how old is "older"? Believe it or not, in some high tech firms even people in their mid thirties are considered old. However, more commonly, many people note that somewhere in their mid forties they notice that age can begin to become an issue during their job search. Omit dates from education that is more than 10 years old. If you are including your high school diploma on your resume and you include your graduation date, your age becomes obvious. Simply remove the date from your resume. Although there are times when it's in your best interest to include dates in the education section, omitting dates in this section is common practice and will not raise red flags with most employers. Some people will advise you to avoid strategies to hide your age on your resume. They say there's no point in minimizing your age because the employer will see your age when you walk in the door at the interview. I wholeheartedly disagree with that advice. The purpose of submitting your resume is to get an interview, not to get a job. Don't allow people to make judgments and assumptions about you from a piece of paper. 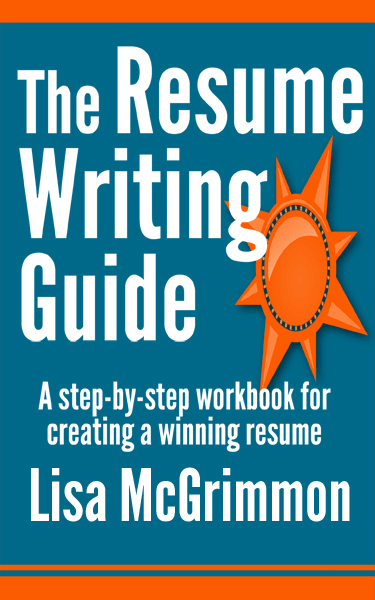 Structure your resume in a way that is honest and also shows you in your best possible light. Get in the door so you can do a fantastic interview and show them that you are the best person for the job and age is irrelevant. Don't let age related stereotypes work against you, dress in a way that is work appropriate but current and stylish. Develop solid technical skills. Mention them in the interview. Be subtle about this, but eliminate any unexpressed age related stereotypes the employer may have. Unless you're asked directly, don't mention age. It will sound like you're apologizing or offering excuses.Instead, be aware of some of the untrue and negative stereotypes employers may have about experienced workers (examples could include inflexible, unwilling to learn, rigid, low energy). As you give examples of your accomplishments, ensure that those examples highlight the opposite of those stereotypes, that you are an adaptable, up to date and vital employee. Again, be subtle, don't blatantly mention age, but you can also highlight positive aspects of being an experienced worker in the examples you give at an interview. Tell stories that highlight your experience and long term industry knowledge and the ways in which that experience would benefit an employer. I'd like to tell you about the thought process I went through when I hired my financial planner.I chose my financial planner based on his experience. I was deciding between two people and both had a lot of positive attributes, but one was fairly new to the industry and the other had many, many years of experience.I chose the more experienced financial planner because he spoke very intelligently and confidently about his long term experience in the field. I knew he was a serious professional, and he had seen all kinds of financial market conditions, so I felt he'd be well equipped to make good recommendations no matter what the economy threw his way.Now, I was also keenly aware that he would retire at some point, and I would have to replace him, but I'm so confident in his experience, it just wasn't an issue when I chose to work with him. Aren't you over qualified? The real question behind that question is not so much age related, but what employers are really asking is this: Are you going to leave if I hire you? Can I afford you? Although it's quite typical for older workers to down-shift their careers and take on less demanding retirement jobs by choice later in life, not all employers are savvy to this trend. If you're interviewing for a more junior position after a long career, employers may look at your experience and worry that their job is just an interim position until you find something at a more senior level or something that pays better. Highlight your experience and the reasons why you enjoy and excel at your work and in that industry. Note specific reasons why you'd love to work with that particular company. If you can honestly say that you could see yourself at that company for several years, (five years is a very long time in today's labor market) say so. Apply these job search secrets, don't give up, and stay positive. When you find the employer who values your experience and skills, it will have been well worth the effort.